The first rule of driving is to know the laws and follow them. However, at some point in most people's lives, they'll slip up and get pulled over by a police officer. Whether it's for speeding, running a red light, or some other traffic violation, you should know what to do when it happens. 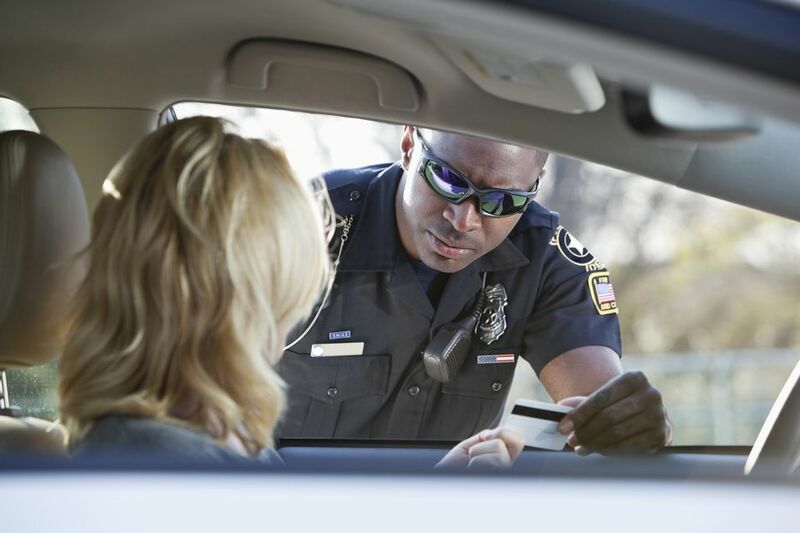 Following proper etiquette with the officer can make the pain of being pulled over much less intense. The initial surprise of seeing that blue light in the rearview mirror may turn to anger or frustration, but whatever you do, don't let it show, and don't let it cause you to do something that will make matters worse. In order to prevent fumbling for the paperwork the officer will ask for, know where everything is. Place your registration and automobile insurance information in an envelope and keep it in your glove compartment. Keep your driver's license in your wallet in an easily locatable place. As soon as you see the flashing light behind you, turn on your right turn signal, look for a safe place to stop, and pull off to the right as soon as possible. If the officer is pursuing someone else, you can let out a breath of relief, knowing you got out of the way. However, if the officer is right behind you, chances are you're the one she's pulling over. Don't do anything that even hints of aggression. From the moment the officer steps out of his car, he's watching you to see if there is anything suspicious he needs to be concerned about. Remember that he doesn't know you, and he's probably encountered some crazy people in his line of work, so cooperate and don't give him anything to worry about. Open your window but remain seated in your car unless the officer asks you to get out. Place your hands on the steering wheel or in your lap so the officer can see them. If you take your hands off the steering wheel, and he tells you to put them back, do exactly what he says without arguing. When he asks for your license, registration, and insurance information, tell him where they are located before moving to get them. This shows that you are being open. Never touch the officer or make any moves toward her. Her personal space is important to her, and she may react if you reach out, even for a handshake. She is likely to consider it confrontational if you try to touch her. This is definitely not the time to forget proper personal etiquette. Be polite and friendly to the officer without overdoing it. Make sure your body language is relaxed. Show respect for his position and remember that at that moment, he has authority over you. Use polite language when speaking to him. Don't ever try to pull rank on the officer, or you could get yourself in a much worse bind. Never talk or text on your cell phone while the officer is talking to you. Don't even think about trying to bribe the officer because that is against the law and can get you into even more trouble. If she writes you a ticket, accept it graciously. Now isn't the time to get into a debate over what happened or whether or not you were in the wrong. You can take your case to court later. Never lie to the officer. He's heard everything, so all the creativity in the world will be wasted. In fact, it might annoy him. If he asks you a question, answer honestly.